You don't need to be a professional stylist to look chic and polished at a moment's notice. All you need is this lovely chiffon dress with leatherette trim details at the neckline and waist. 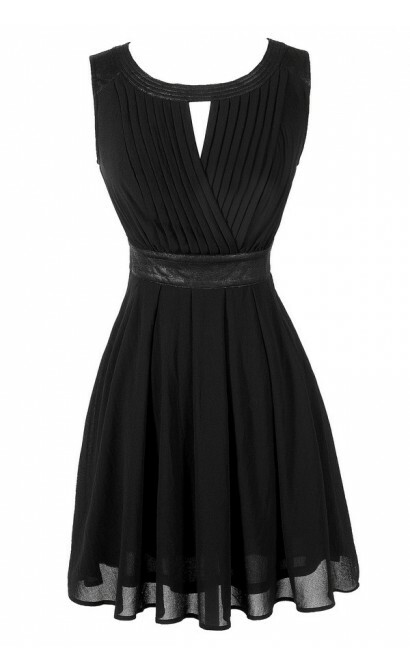 The Perfectly Styled Leatherette Trim Pleated Chiffon A-Line Dress is fully lined. The top part is made of chiffon with a pleated crossover design at the bust. 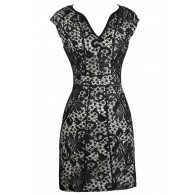 Black faux leather trims the neckline and waistband. The attached skirt has a flowy cut. A hidden side zipper completes this look. The Perfectly Styled Leatherette Trim Pleated Chiffon A-Line Dress would look nice paired with black boots, pumps, or heels. Details: Fully lined. Hidden side zipper. 100% polyester. Hand wash cold water. Do not bleach. Line dry. Iron low. Do not dry clean. Small measurements: Length from top of shoulder to hemline: 33". Bust: 33". 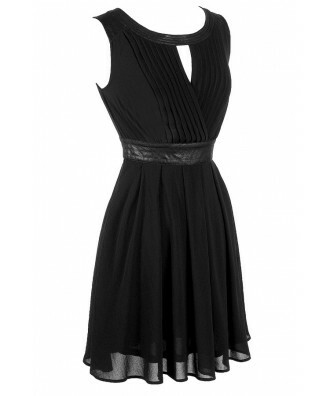 You have added Perfectly Styled Leatherette Trim Pleated Chiffon A-Line Dress into Wishlist. You have added Perfectly Styled Leatherette Trim Pleated Chiffon A-Line Dress for Stock Notification. You have set Perfectly Styled Leatherette Trim Pleated Chiffon A-Line Dress as a loved product. You have removed Perfectly Styled Leatherette Trim Pleated Chiffon A-Line Dress as a loved product.